CG challenges and competition events are organized by various parties for various reasons. But it's always good to see the quality Blender can help some of their participants to reach. 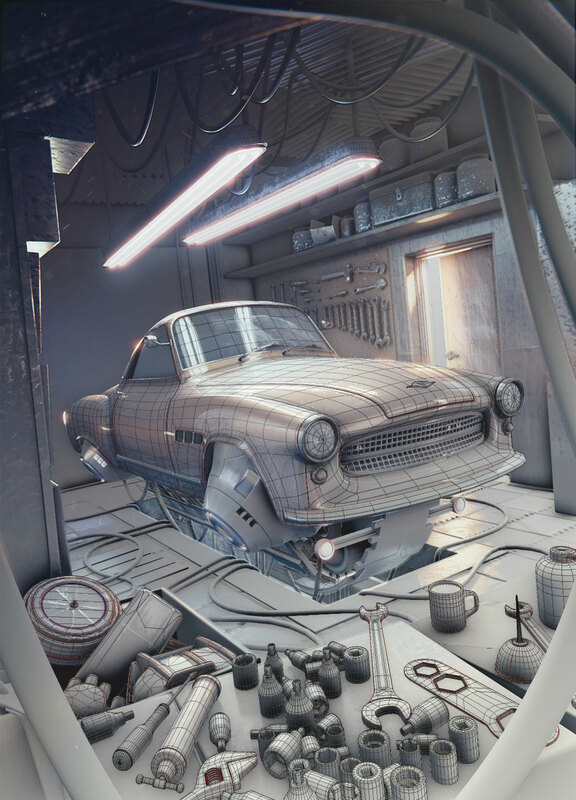 So, it is with great pleasure that www.BlenderNews.org introduces to you the winner of the Render of the Week Award for the week of December 5, 2016: Łukasz Hoffmann. 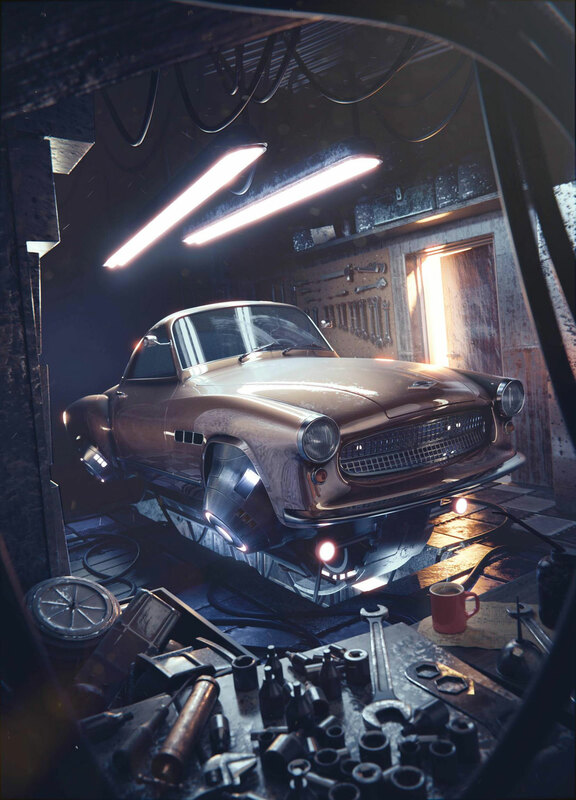 Title: "Inside the Inventor's Barn"
About "Inside the Inventor's Barn:"
This render was created as an entry for Humster3D Car Render Challenge (https://hum3d.com/car-challenge-2016/). The idea behind was to present retro futuristic, Sci-Fi car with industrial environment, with the story of an visionary engineer working with his custom-made, flying car. For my main subject i chose an old Wartburg Sport. This render was inspired by Alejandro Burdisio's works and his great Diesel-Punk universe."